This vinyl sticker contains the move sequence to allow you to easily make a braid with a basketweave structure. 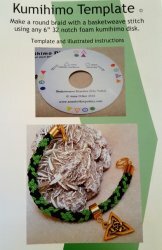 Comes with illustrated instructions and pattern for the cover project which uses soutache. 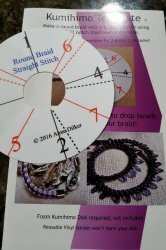 This vinyl sticker contains the move sequence to allow you to easily make an 8 warp round braid that yields a slightly domed stitch. 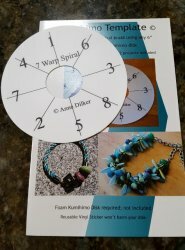 This vinyl sticker contains the move sequence to allow you to easily make an 8 warp round braid that yields a straight stitch. 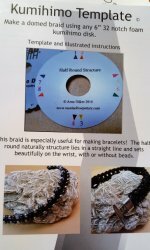 Fully illustrated instructions contain 2 projects, one without beads and on with beads.